George H. Arnold serves as Managing Director of Wealth Management at Sanders Morris Harris with over 29 years of wealth management experience. He is an expert in the design and management of multi-asset portfolios. When constructing portfolios, he considers the client’s risk appetite and financial goals. His focus is on diversification, manager selection and the ongoing review and monitoring of client portfolios. 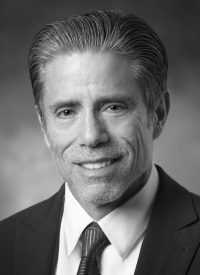 Mr. Arnold started his career shortly after the 1987 crash at Sherwood Capital and then joined Lehman Brothers as a financial consultant in 1990. He subsequently worked at several national financial firms before joining Sanders Morris Harris in 2010. Mr. Arnold received a degree in finance from The University of Texas in Austin.